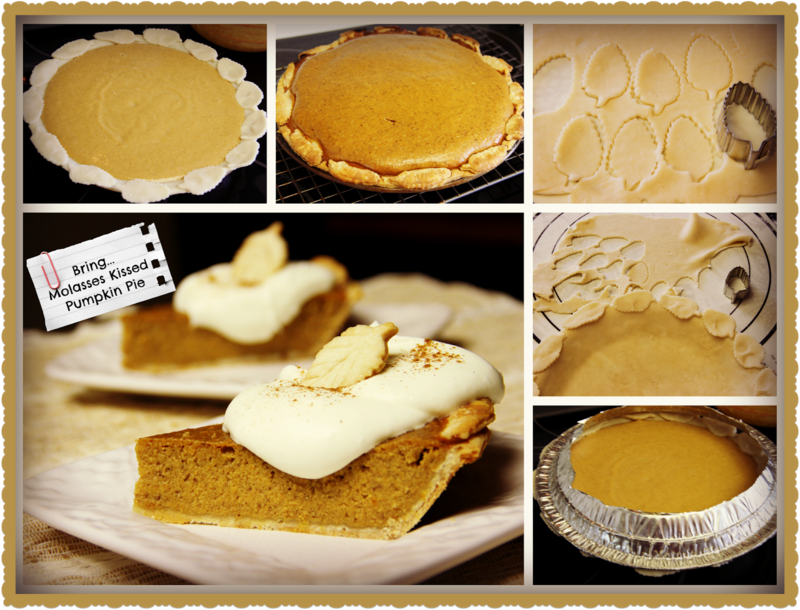 There is no need to buy pumpkin pies from a bakery when they are really so simple to make. If you don't have time to make your own pastry, purchase a package with two frozen deep dish shells and use one of the shells to cut out little leaves with the thawed pastry for garnish. I've included a link to my favourite pastry which I mix up and then freeze the discs I don't need. This pumpkin pie filling is delicious, has a smooth texture, slices beautifully and leftovers keep well in refrigerator. Whisk together the pumpkin with the remaining ingredients until smooth. If you have a blender, put all the filling ingredients in there and process until smooth. Pour carefully into the pastry crust. To prevent the crust edges from becoming too dark, use kitchen shears to cut out the inside of an aluminum pie plate and cover the pie as shown in the photo. Bake at 425 F. for 15 minutes and then reduce heat to 350 F and bake an additional 35 minutes. Test by putting a sharp knife an inch from the edge. It should be clean. So pretty! We love pumpkin pie and this recipe sounds most wonderful. Your pastry tutorial is great too. LOVE the idea about using an aluminum pie plate to cover the crust ~ thanks for sharing!!!! I love this idea too! Why didn't I think of this? Anything pumpkin works for us! Going to give this a try very soon - I've noticed recipes using sweetened condensed milk but have never tried one...Thanks for sharing! I realize I'm one Mennonite Girl talking to another ...but those are gorgeous pie making photos! Thank you for taking the time to inspire and give away small pieces of advice we can all learn from. Kim! thanks for alerting me.. .there is two eggs. Happy Thanksgiving to MGCC !! Your pie is gorgeous. I love the idea of baking little decoration leaves (I always have extra crust that ends up getting thrown away.....great idea. The foil pie plate idea is brilliant! The last time I baked a pie, I struggled so long to get those strips of foil to stay over the crust. I'll remember this for sure!